Auditor General Eugene DePasquale was on hand August 9 to announce Vista’s sharing of federal funds to school districts in eight counties. He also toured the campus and met with students. 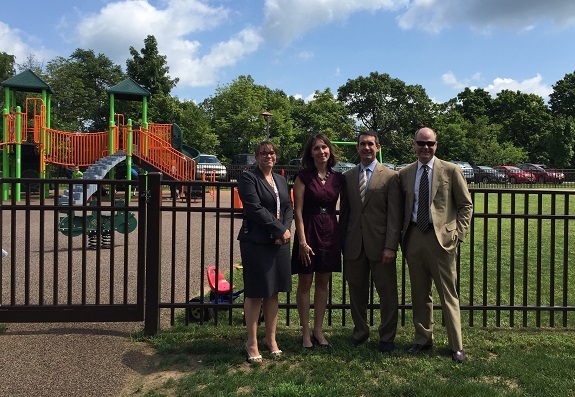 Pictured, from left, are Candis Chubb, Executive Director of Educational Programs; Kirsten Yurich, Chief Executive Officer; Auditor General Eugene DePasquale; and Mike Jarman, Founder and former Chief Strategic Officer and General Counsel.